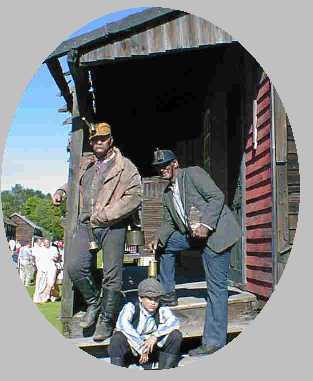 The hard coal region of east-central Pennsylvania is the home of the "Breaker Boys", three individuals dedicated to preserving the culture, customs, and heritage of the anthracite coal miner. Through story, song, or poem...in the first person, the "Breaker Boys" relive an era that was the backbone of this nation. Anthracite coal fueled the Industrial Revolution that pushed the boundries of America westward, and the lives of the men and boys who worked underground are remembered here. Copyright 2000 "The Breaker Boys"